It is never too early to start practicing good oral hygiene and prevention for common oral health problems like tooth decay and gum disease. 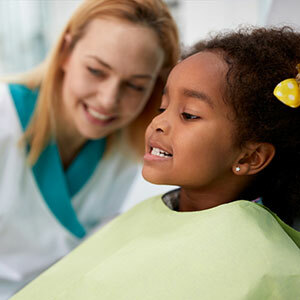 Children are especially susceptible to tooth decay, and the Centers for Disease Control and Prevention (CDC) estimates that approximately 20% (or one in five) of children between ages 5 and 11 have at least one untreated cavity. In order to help your children maintain strong, healthy teeth and gums and good dental health habits that will last a lifetime, the dentists at the Children's Dental Center of New Hampshire in Amherst, NH recommend regular checkups and dental cleanings by age one, or six months after the first tooth erupts. Professional teeth cleanings are one of the best weapons available against cavities, especially for toddlers and young children. 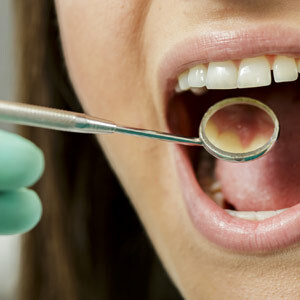 Whether they consume sugary snacks and drinks or still learning thorough tooth brushing techniques, young children are especially vulnerable to tooth decay. Even primary (baby) teeth need to be brushed and cleaned properly to avoid problems later on as their permanent teeth develop. Even with regular brushing and flossing at home, professional teeth cleanings are still necessary to prevent plaque buildup. They work in conjunction with personal oral hygiene to ensure that your children's teeth remain cavity free, the gums are healthy, and to help prevent or remove stains. They are also the perfect opportunity for the dentist to assess the state of your child's ongoing oral health and development. Because tooth decay is progressive and gets worse over time if left untreated, catching it early is essential to maintaining healthy teeth and gums. For more information on tooth decay prevention and treatment for your children, contact the Children's Dental Center of New Hampshire by calling (603) 673-1000 to schedule an appointment with Dr. James McAveeney and Dr. Andrew Cheifetz today.